Letterpress printing is one of the oldest forms of relief printing that creates a crisp impression in your design. With timeless techniques combined with new technologies Letterpress Business Cards have advanced to one of the most revered, sought after techniques for business cards. Jukebox Print is pushing the boundaries on what was originally thought possible, starting with creating many multiple colour designs with intricate, labyrinthine registration. Designed by one of Europe’s finest illustrators Ksenia Denisenko, Jukebox took this ultra imaginative artwork with the finest line strokes (.03mm) and created this outstanding 15 letterpress business card. 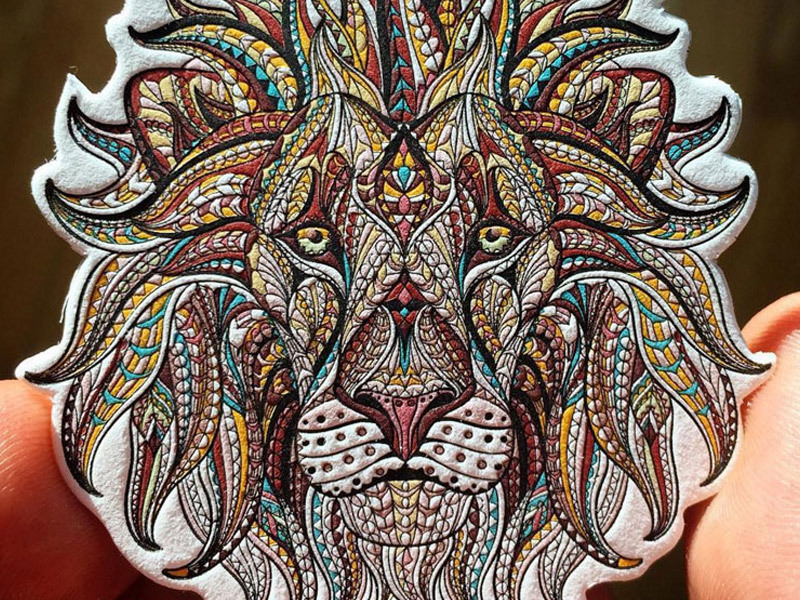 This business card features multiple specialty print techniques including, 3d embossing, letterpress and foil making this card one of the most unique business cards on the market, as well as one of the most expensive. 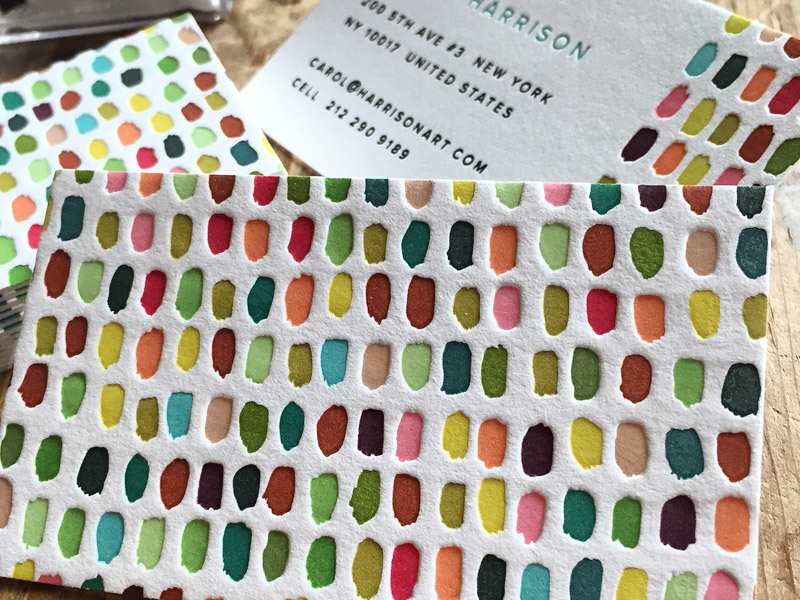 This painted color pallet business card is simple yet consists of 19 colors of letterpress on the front side and 15 colors of letterpress on the back side, making for a an incredible total of 24 different colors of letterpress! 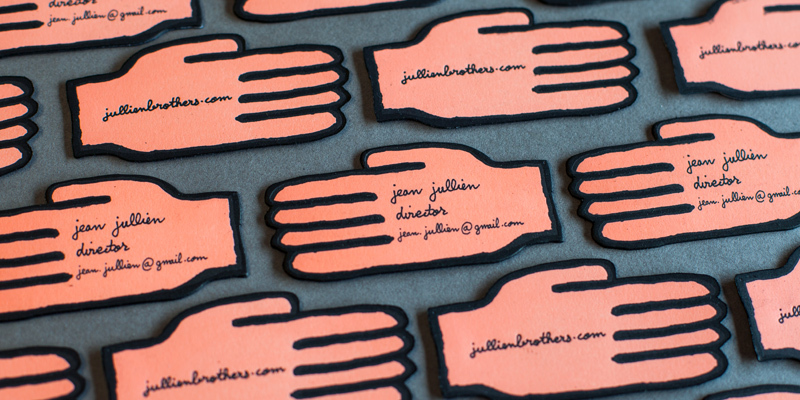 Leave it to famous Parisian artist Jean Julien to prove to us that sometimes less in more even if you want to make an impressive letterpress business card. These cards are very unique yet also very simple and combine an uncommon shape to make it all the more special. Who doesn’t love ice cream? 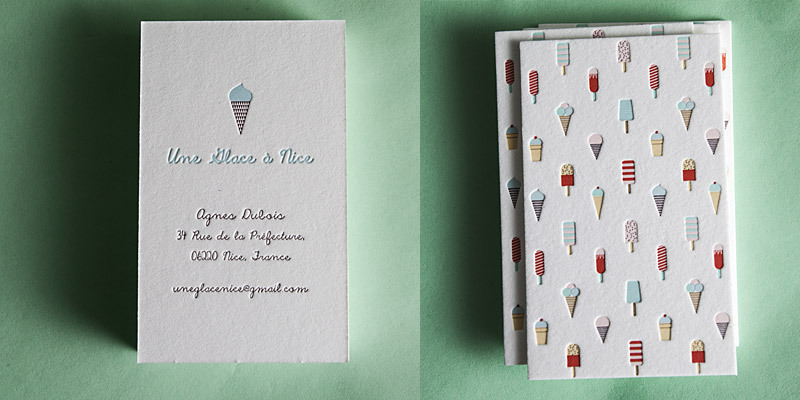 This cute design showcases the many uses of letterpress. 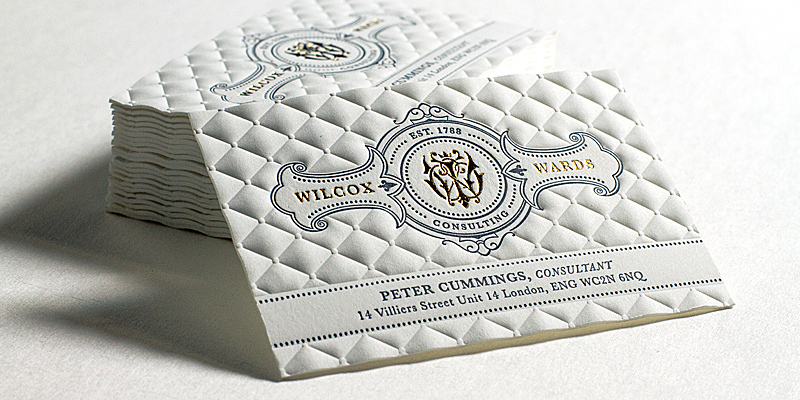 The beauty of letterpress business cards is its flexible design qualities. Not just a one tricky pony, a good letterpress design can be a wonderful option for just about any business out there. 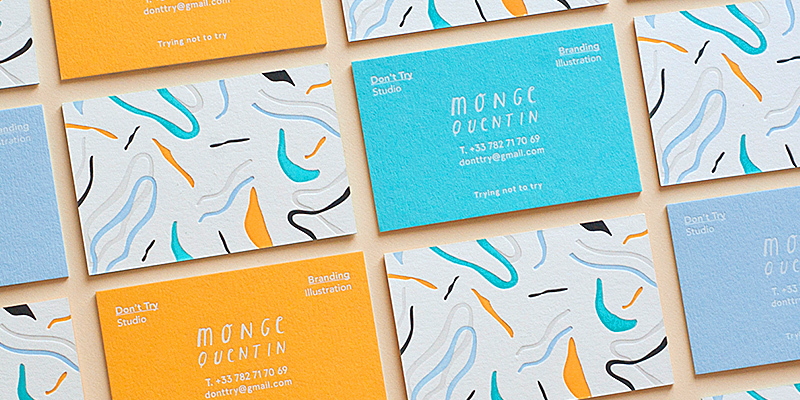 These eye-catching business cards created for the Parisian designer Quentin Monge feature an exhilarating combination of colours, both in the design as well as in the stocks used. Produced as unique 3-ply Layered Business Cards, each card consists of three different stocks - creating an interesting layered effect along the edge. 5 Colors of Letterpress were used to create this materpiece of a card.